Fact: Texas Attorney General Candidates Ken Paxton and Dan Branch voted in 2005 to FORCE Texans to get a Smart Meter and FORCED Texans to pay for them. The laws they voted to approve reveal the shocking truth that even they cannot deny. They passed laws that specifically forced the Public Utility Commission of Texas (PUCT) to implement Smart Meters and to create a fee for Texans to pay for them. Texas Attorney General Candidate Barry Smitherman is the only candidate in the race who has listened to the outcry from conservatives and in response has teamed up with conservatives in the Texas Legislature, like State Rep. David Simpson, to try to amend the law and make Smart Meters optional instead of mandatory. 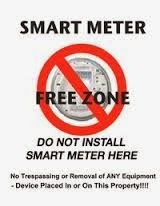 Legislators Ken Paxton and Dan Branch have done NOTHING to try to introduce or promote any bills to stop the mandatory Smart Meters. It is time people heard the truth. I am tired of Texas Legislators passing the blame. I am tired of fellow conservative groups believing the lies about who actually created and mandated Smart Meters. Voting records do not lie. In this article I will show you the exact laws that Paxton and Branch voted on to mandate Smart Meters. The Legislature and the yes votes that Paxton and Branch made are why Texans were forced to get and pay for Smart Meters. No one else is responsible. Smart Meter outrage took the Texas scene by storm within the last few years. Texas Conservative groups were rightfully mad about these intrusive, big brother, potentially health hazardous Smart Meters. Some conservatives mistakenly got upset at the PUCT. The truth is that it was the Texas Legislature that passed the law to force Smart Meters onto Texans. It was the Texas Legislature that passed the law to force Texans to pay for the Smart Meters, not the PUCT. In 2005, the Texas Legislature passed HB 2129, mandating a fee for the implementation of smart meters and encouraging the adoption of smart meters. Both Ken Paxton and Dan Branch voted aye on this bill. Section 8(a) of HB 2129 states: “In recognition that advances in digital and communications equipment and technologies, including new metering and meter information technologies, have the potential to increase the reliability of the regional electrical network, encourage dynamic pricing and demand response, make better use of generation assets and transmission and generation assets, and provide more choice for consumers, the legislature encourages the adoption of these technologies by electric utilities in this state. In 2007, the Texas Legislature passed HB 3693, again making clear its intention that smart meters be deployed as rapidly as possible. Again, Ken Paxton and Dan Branch voted for this legislation. Section 20(i) of HB 3693 states: “Subject to the restrictions in Subsection (h), it is the intent of the legislature that net metering and advanced meter information networks be deployed as rapidly as possible to allow customers to better manage energy use and control costs, and to facilitate demand response initiatives. If you notice in the above laws that were passed and approved by Ken Paxton and Dan Branch, the word SHALL was used. The word SHALL means it must be done and is NOT optional. The Texas Legislature mandated the PUCT to implement smart meters by passing a law stating that the PUCT SHALL do it. The Texas Legislature also used the word NONBYPASSABLE in reference to the fee that Texans must pay to implement the Smart Meters. Like shall, nonbypassable means it is mandatory and not optional. So before anyone starts to say that the Legislature did not intend for Smart Meters to be mandatory or that the PUCT should have just not implemented smart meters, you need to check your facts. We Texans do not live in Obamaland. We do not just decide which laws to enforce or not enforce like Obama does. The Texas Legislature passed laws creating and mandating Smart Meters and instructing the PUCT to make it happen. The PUCT followed the law that was passed by the Texas Elected officials. Obama thinks he can just ignore laws passed by Congress, but here in Texas we hold ourselves to a higher standard and the PUCT did the only thing they could and they followed the law passed by Paxton and Branch. The Legislature is to blame for Smart Meters, not the PUCT. The Texas Legislature even went as far as to pass a bill in 2007 encouraging the RAPID deployment of Smart Meters. So they wanted to force them on us and then they wanted to make it happen as soon as possible. After reading the wording of the laws passed by Paxton ad Branch, no one can deny that Smart Meters were created and pushed by the Legislature. Furthermore, the only authority that can stop smart meters, besides a Judge, is the Texas Legislature. If people are mad about Smart Meters, which they should be, then it is up to Texas Legislators like Ken Paxton and Dan Branch to take a stand and amend the law that they wrongfully voted for. The PUCT and Barry Smitherman have taken a stand with conservatives and asked the Texas Legislature to change the law, but so far the legislature has done NOTHING, including Ken Paxton and Dan Branch doing nothing. Mandatory Smart Meters are a big problem. Maybe no one in the Texas Legislature knew about the problems that would arise when Smart Meters first came out. But hey, now you know! So what are you going to do to fix the problem? You change the law. At least Barry Smitherman is actually trying to fix the problem. The legislature and the laws they passed are to blame. Since the negatives of Smart Meters have been made know, Smitherman has listened to conservatives and he has tried to get the Legislature to change the law. The legislature, including Paxton and Branch, has not responded. So Thanks alot Ken Paxton and Dan Branch for passing Smart Meters and thanks alot for not trying to change the law to correct what you previously approved. Smitherman is the only Texas Attorney General Candidate brave enough to listen to conservatives and respond by trying to correct the problem and by trying to get the legislature to change the law and not make smart meters mandatory. So that is the truth about who created, Pushed, Mandated, and is still allowing Smart Meters to be forced onto Texans who also are forced to pay for them. That is the only law that was passed relating to what the PUC did...read the PUCT website...then tell me I am wrong! David Simpson wasn't even around when this law was passed. When asked about it before he had no response because he was not elected then. Do you have proof of this? Funny that David had no opinion on it before because was not elected when this law was passed.